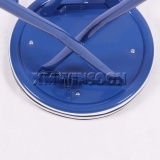 Master Carton Dimensions W27.95"*D14.57"*H12.2" (W71*D37*H31cm), 6pcs/ctn. 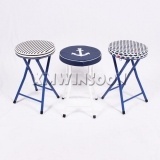 Bring this Padded Folding Stool back, the PU cushion seat can printed any pattern as your request. 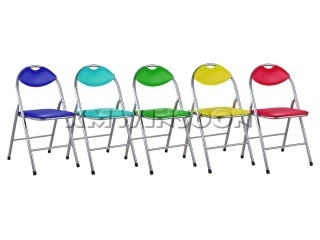 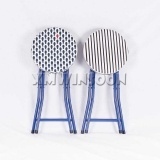 No doubt about it, your friends or guests will intrigued by these colorful and wonderful stools when them see them. 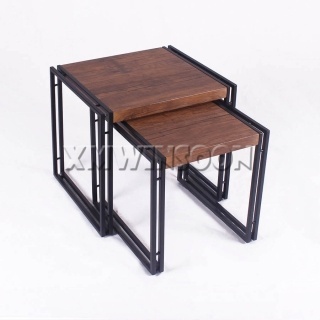 This stool no assembly required and simply foldable design makes this stool versatile and practical when you place them indoor or outdoor. 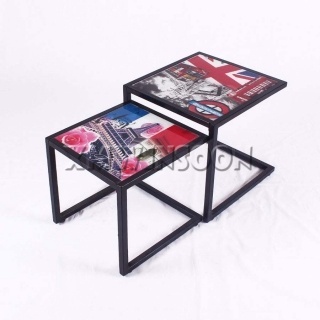 This Metal Folding Stool is easy to transfer and storage at a small space when you fold it flat. 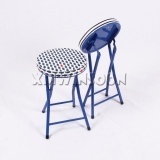 It’s the great choice for provides extra comfortable seat when guests come! 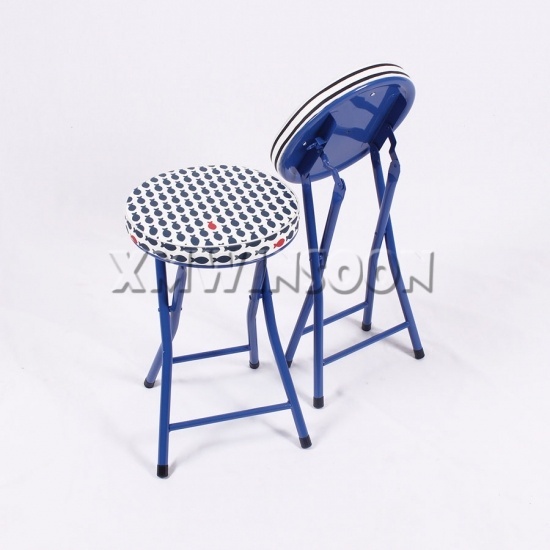 This Pattern Metal Thick Padded Folding Stool features full sturdy steel tube base, the stool has a spring loaded safety lock under the seat that for increased stability, durability and security! 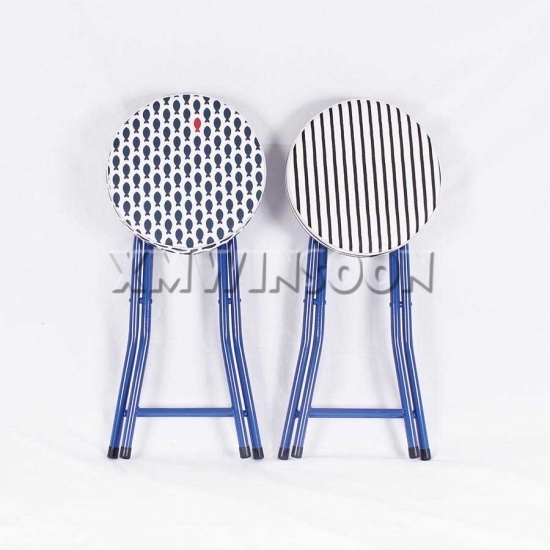 11.81” round shape seat with a thick cushion for ensure remarkable comfort when you or guest sit on it. 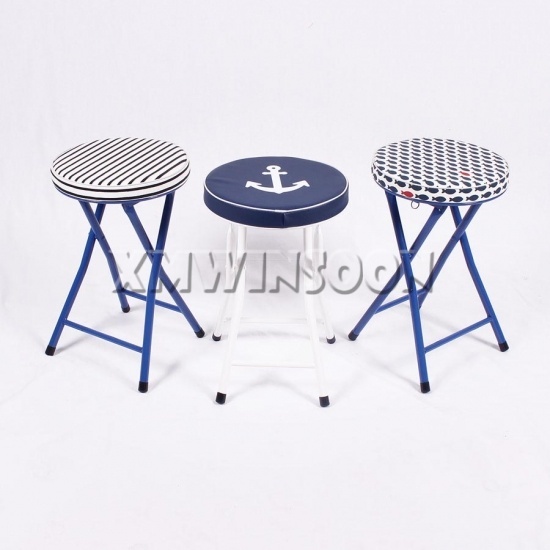 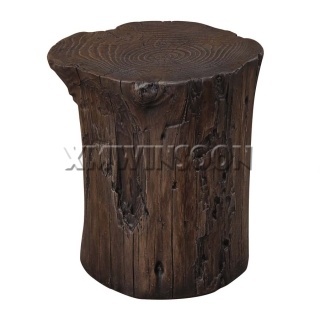 The stool has floor glides for each legs to prevent scratching the floor.